OMG. 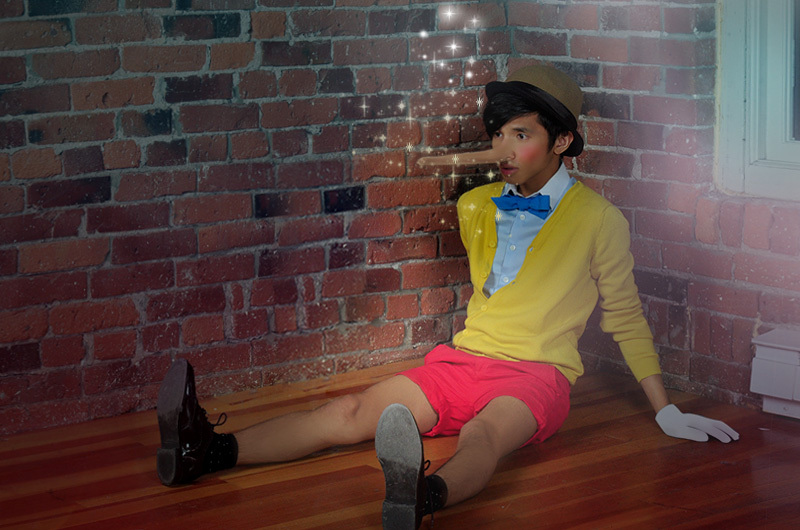 It was so much fun being Pinocchio for a day. Putting this look together was as much fun as when sporting it outside. 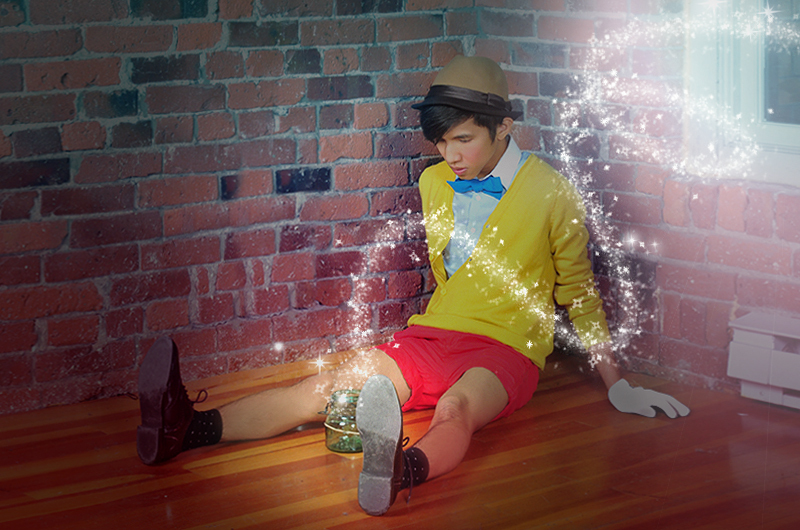 Thank God Pinocchio’s clothes are somewhat pieces I already have in my closet. Aside from the look, I also think I have his ‘boyish’ aura – not to mention my boyish height (I’m 5’1). Nothing in this look was purchased specifically for the costume. I didn’t have a blue bow tie so I just used my mom’s cotton belt and tied it as a bow tie (it was a belt from one of her dresses back in the 80s – I wasn’t even born then). I luckily found a pair of white gloves in my dad’s hardware cabinet (I had to wash it because it was a bit dirty. The short used to be mom’s old capri pants — I mainly just copped it off and cuffed the hem. I do have my own red shorts but that was a bit bloody red and it’s a bit loose on the waist — mom’s capri pants are the exact red I was looking for. The best part with this costume is, with my personal style and little styling twist, I can totally bend it to be an actual ‘outfit’ and not just a Halloween costume. I hope you all had a great Halloween!!! Please Hype if you like it <3 I would really appreciate it. It's my official Entry to the Lookbook/American Apparel DIY Costume contest. Thanks.